I found a bunch of new store coupons for this weekend. 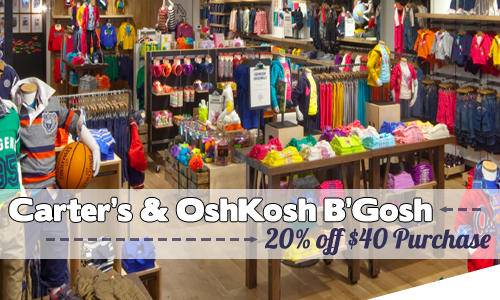 The best are these Carter’s and OshKoshB’gosh coupons. Save 20% off a $40 purchase. If you’re hitting a few more stores, check these offers below for more savings.